If you are a lover of history, then London is no doubt on your list of places to visit to quench your thirst for historic architecture and engineering. It can be overwhelming to know where to start and how to use your time efficiently whilst seeing the best that this ancient city has to offer. So we are offering you a quick guide to the top five places to visit if historical sites are at the top of your wish list when visiting this fascinating city. The Tower of London is a historic castle that sits on the north bank of the river Thames in Central London. It is Her Majesty’s Royal Palace and fortress. Not only is the architecture of the building a sight to behold, but inside offers a wealth of experiences to submerge yourself in. By far the most important sight to see here is the Crown Jewels and even if your visit to the tower is only a short one, then make sure that this is at the top of your list. If you have a little more time then you can delve deeper into the life of the fortress, accompanied by a Yeoman Warden. This weapon-wielding storyteller takes you on a guided tour and recounts the historic tales from the Towers past. 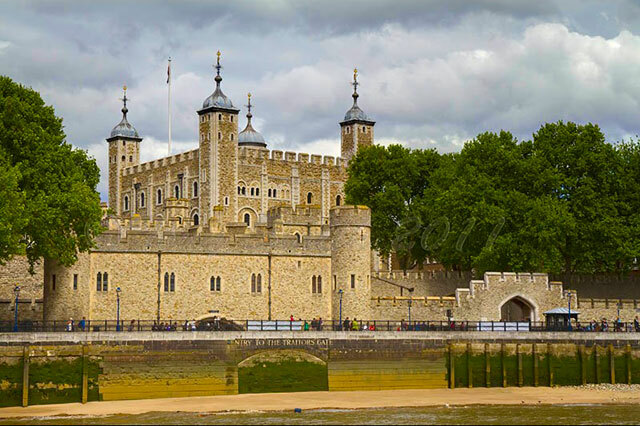 Finally you can conclude your trip with an unmissable visit to the White Tower, built by William the Conqueror where you can see a display of the royal armouries. 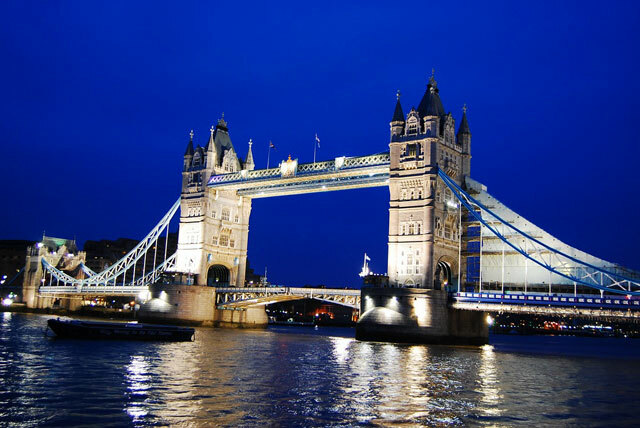 The best way to experience the wonders of this infamous Victorian structure is to visit the exhibition that gives the visitor a real flavour of the massive feat of engineering that is Tower Bridge. After watching a video that explains why the bridge was built in the first place, take a walk to 42m above sea level to the walkways which offers visitors a panoramic view of London hard to find elsewhere. No visit to the Tower Bridge would be complete without a visit to the Victorian Engine Rooms where visitors are transported back in time to when the bridge was first constructed. Do not miss this rare opportunity to be part of living history. 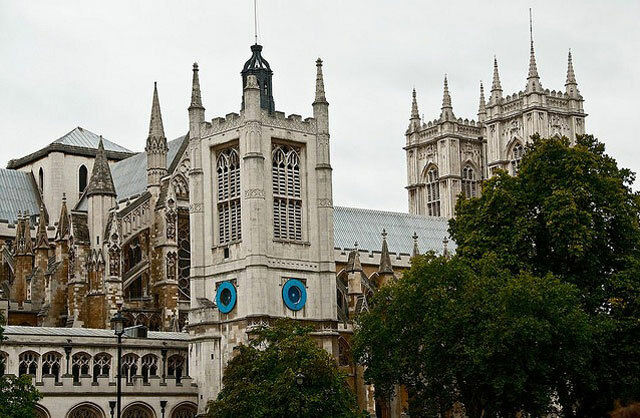 Still offering daily services attended by thousands Westminster Abbey is a historical gem set in the heart of London. Audio tours in available in 8 languages allow the visitor to explore the Abbey at their leisure alternatively a verger led tour provides a detailed and lively description of the Abbey from those that know it best. With over 600 monuments and memorials to discover this experience is one that should not be rushed. This is a monument dedicated to the Great Fire of London, so famous that it’s purpose does not even get referred to in its title. It is a stone Doric column in the city of London at the northern end of London Bridge and commemorates the Great Fire of London. 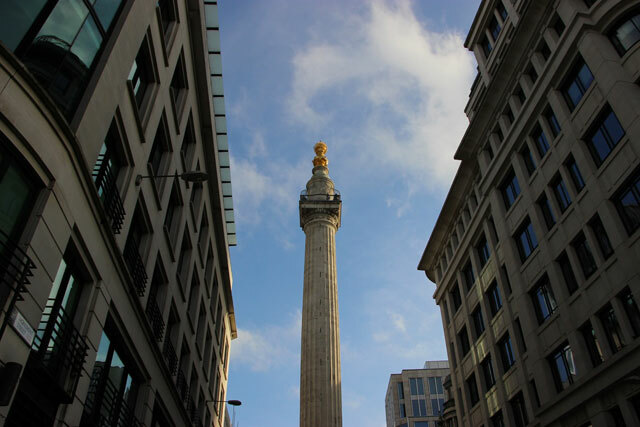 Designed by Sir Christopher Wren, the Monument is steeped in history both tragic and fascinating. Standing an impressive 202 feet high it is the tallest free-standing column in the world. No visit to London is complete without climbing the 311 step spiral staircase to the top to admire the unique view over the City. Founded by the Knights Templar in the 12th Century this church is a retreat into most peaceful places in London. 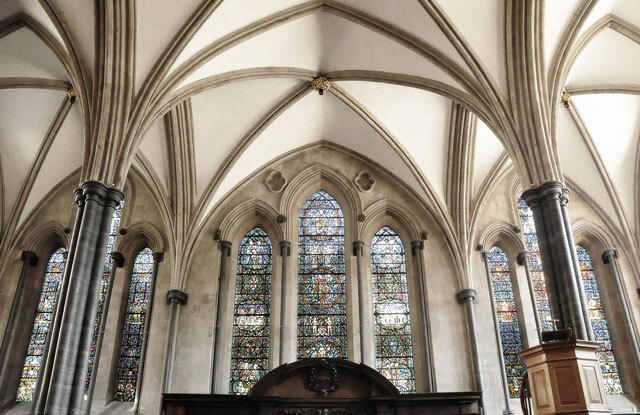 A place to escape the hubbub and noise of the frantic city, temple Church offered visitors the chance to reflect, pray and enjoy the ancient monuments. Offering concerts throughout the year. This is the perfect way to complete a tour of the best that London has to offer its visitors. The Churchill War Rooms were formerly known as The Cabinet War Rooms and Churchill Museum. This World War II historic site served as the headquarters for Churchill and his wartime cabinet during the Blitz. The mecca of shopping and London’s most famous shopping landmark, Harrods is historic and grand. It is one of the most luxurious department stores and sits on 5 acres of land making it Europe’s largest department store. This fun themed attraction attracts all kinds of tourists in London. They say that when it comes to history, it is all the scary bits that are interesting. London Dungeons make history extremely exciting by shrouding it in all the mystery, shadows and gore. Once a massive war ship, HMS Belfast is now a ship museum part of the Imperial War Museums and is permanently moored in London on the Thames River. The ship is famous for its role in the sinking of the German ship “Scharnhorst” during World War II. Apsley House is a location to be reckoned with in London. It is a prestigious townhouse in the city. The reason why it has a place such honor in London is that it was the residence of the victorious Duke of Wellington after he defeated Napoleon at Waterloo. The place has managed to preserve this historic win in its grandeur and charm very well. Also I suggest you can go to the http://www.triphobo.com/london-united-kingdom for more information about tourist attractions in London, things to do, 818 London travel itineraries, hotels, restaurants & more that guide to the London easily.